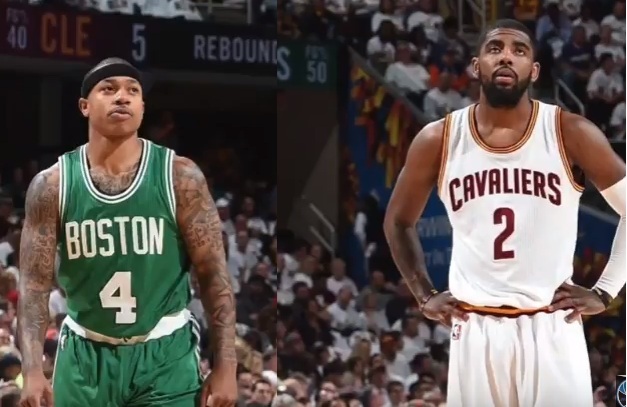 NBA – On August 22, 2017 (US Time) the drama in Cleveland is temporary over after the Cleveland Cavaliers finally grant the demand trade of their franchise point guard Kyrie Irving and now will be replaced by another franchise point guard of the Boston Celtics Isaiah Thomas. Despite the Celtics gives more player to the Cavs in exchange of Irving still both camps comes out a winner, a very good trade where both teams could benefit from it? But it will remain that the Cavs has still the upper edge over the Celtics when it comes to post season or playoffs as long as the greatest player today LeBron James still suited up for the Cavs till the end of the 2017 – 2018 NBA Season. It could be a great war, when the Cavs and the Celtics faces in the Eastern Conference Finals again? But this time it would be more exciting than last year now that LeBron James vs his former sidekick Kyrie Irving will be facing one another. The Boston Celtics, made the greatest improvement in this Off-season after acquiring Gordon Hayward and now Kyrie Irving to join Al Horford in their quest of defeating the Cleveland Cavaliers while the Cavaliers remains the favorites, but must be cautious to the new and improve Boston Celtics in their mission of returning back in the Finals to regain the NBA Championship against the favorite of the West the reigning NBA Champion the Golden State Warriors or whatever team that they will face comes in the Finals? Meanwhile, the Cleveland Cavaliers also added very good players with the likes of former MVP Derrick Rose and now superstar point guard Isaiah Thomas and great defender Jae Crowder to help LeBron James, Kevin Love, JR Smith and the Cavs for another NBA Title run. What do you think of the Cavs and Celtics trade? Is it great trade for both teams? or the Cavs has the upper hands on that trade? No Comment to " Kyrie Irving and Isaiah Thomas Switched Teams in a Blockbuster Trade "